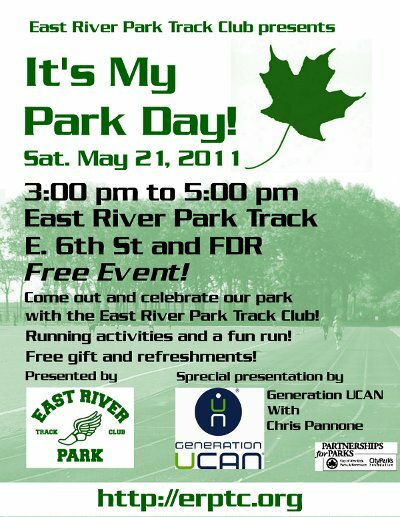 East River Park Track Club is participating in It’s My Park Day on May 21, 3pm at East River Park track. Come out to meet the club and it’s running coach, Ken Costantino. There will be a special presentation by Generation UCAN with Chris Pannone. Chris finished 20th overall in this year’s Boston Marathon! We’re sure he’ll have some great things to say about marathon running! There will be a fun run at 4pm around our great park! The club will be giving out these bags to attendees! The bags are in lmited supply. We’ll have some snacks and refreshments for you too! 3:00 PM – Meet and greet, snacks and refreshments! 4:00 PM – Fun Run! 4:30 PM – More Snacks and refreshments! Three Special Activities! Check-Out Locations & Times! East River Park at Seal Spray Shower Garden/Fire Boat House, 10:00 a.m. – 2:00 p.m.
Garden with the Lower East Side Ecology Center and joined by the Green Team East River Park Conservancy to tackle weeds and plant a beautiful butterfly garden. WBLS 107.5 – Today’s R&B and Classic Soul – will have the WBLS Hummer on site to play music and distribute giveaway items. At 10:30 a.m., Jeffrey Holliman, Shape Up NYC instructor, will lead an aerobics class. Corlears Hook Park, 10:00 a.m. – 2:00 p.m.
Join the East River Park Dog Group for clean-up; doggie play dates; workshops on dog grooming, agility, and training; hiking East River Park trails. East River Park at the Track & Field, 3:00 p.m. – 5:00 p.m.
Get ready, get set, and go with the East River Park Track Club. Learn basic fitness and go on a 1.8 mile run in the park. East River Esplanade Park, 90th Street – 125th Street, 9:00 a.m. – 4:00 p.m. Volunteers needed to clean, sweep, paint railings and park benches, weed, and plant bulbs and flowers. Other activities include an adventure walk at 10:00 a.m. from 90th Street up to 125th Street, rowing instruction at 96th Street, environmental education programs and more. At 10:00 a.m., at 106th Street, a City Parks Foundation fitness instructor will lead a one hour fitness class for senior citizens (ages 60 and over). Fitness class space is limited. Visit the City Parks Senior Fitness page to find the spring schedule. At 2:00 p.m., Senora Williams, will lead a dynamic Fusion Fitness class, featuring aerobic interval training, with a twist of challenging cardio exercises, accompanied by music. Projects and events coordinated by the Upper Green Side, the Friends of the East River Esplanade, East River C.R.E.W., and the Carl Schurz Park Conservancy Playground Committee. By Subway: 6 train to 96th Street and then walk east four blocks toward the FDR.